Internet : the internet, now a day, is an essential part of a good marketing strategy. 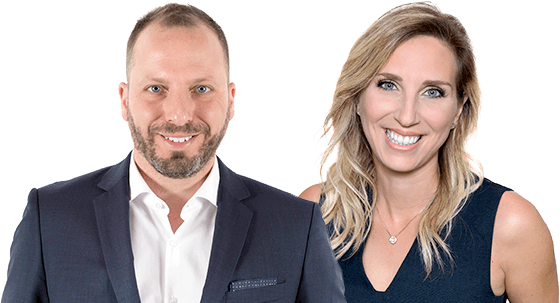 We offer our clients superior visibility amongst potential buyers on remax-quebec.com, the most visited real-estate website in Quebec, as well as on: the MLS network, the Greater Montreal Real-Estate Board, Matrix, centris.ca, global.remax.com, Facebook, kijiji.ca and lespacs.ca. Visual : pictures and a virtual tour done by a professional photographer. The pictures give potential buyers a first impression of your home. That is why we give them a great importance in our marketing strategy. Publicity: : a marketing mix which contains a variety of publications in different media outlets according to the chosen strategy, such as the real-estate section of the «Journal de Montréal» and the «Nord-Info» newspapers, as well as a personalized brochure to present your home to all potential buyers. Open-house : an open-house from 2pm-4pm on the Sunday following the listing of your home (if desired). Broker’s visit: a visit with approximately 15 high performing RE/MAX brokers working in your sector. Home Staging: custom home staging tips and advice. Networking : The Remax TMS team dominates the north shore real-estate market with a share of over 50% of the market. More than 80 dynamic real-estate brokers will work together to find a buyer for your home.